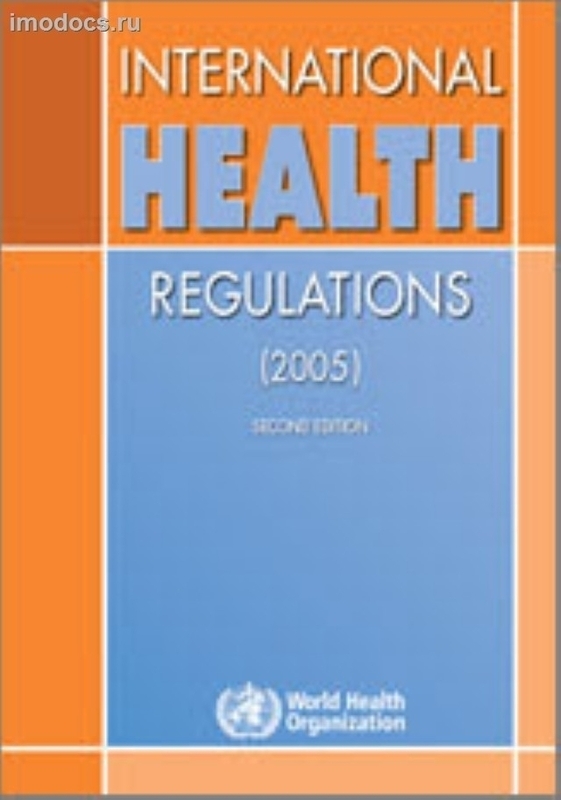 *International Health Regulations (Second Edition, 2005) = Международные медико-санитарные правила (ММСП) (на английском языке), изд. 2005 г. Finally, this second edition includes a new foreword and the Health Part of the Aircraft General Declaration (as revised by the International Civil Aviation Organization), as well as Appendices listing States Parties to the IHR and reservations, objections and declarations received from States Parties. In response to the exponential increase in international travel and trade, and emergence and reemergence of international disease threats and other health risks, 194 countries across the globe have agreed to implement the International Health Regulations (2005) (IHR). This binding instrument of international law entered into force on 15 June 2007. The stated purpose and scope of the IHR are "to prevent, protect against, control and provide a public health response to the international spread of disease in ways that are commensurate with and restricted to public health risks, and which avoid unnecessary interference with international traffic and trade." Because the IHR are not limited to specific diseases, but are applicable to health risks, irrespective of their origin or source, they will follow the evolution of diseases and the factors affecting their emergence and transmission. The IHR also require States to strengthen core surveillance and response capacities at the primary, intermediate and national level, as well as at designated international ports, airports and ground crossings. They further introduce a series of health documents, including ship sanitation certificates and an international certificate of vaccination or prophylaxis for travelers.